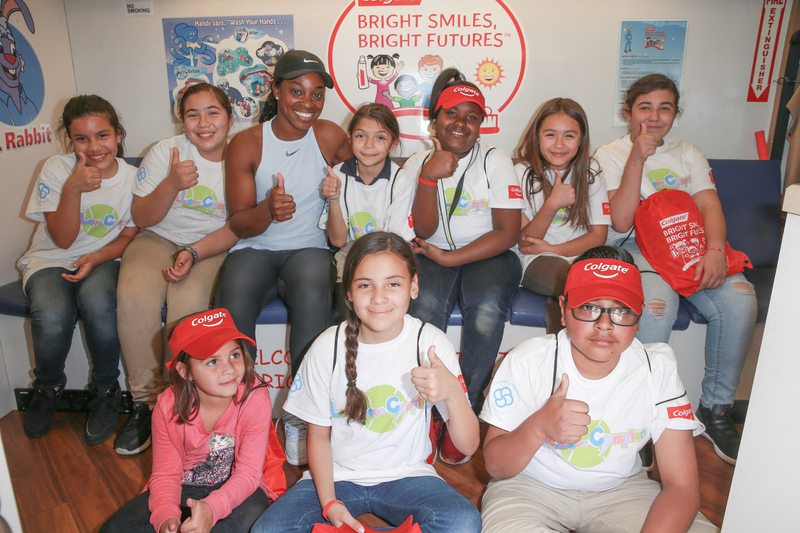 NEW YORK, March 26, 2018 /PRNewswire/ -- The Colgate Bright Smiles, Bright Futures® educational program has partnered with The Sloane Stephens Foundation to instill healthy habits among America's underserved youth through a new initiative called "Serving Up Smiles." At select Foundation "play days," where children can practice tennis basics on a professional court with Stephens, the Colgate Bright Smiles, Bright Futures® mobile dental van will be on-site to provide free oral care screenings for children ages three to 12, along with games and educational activities for all ages. The National Institute of Health reports that tooth decay is the most common chronic disease in children, yet is also completely preventable with proper oral care habits. For many families without education about oral care or access to biannual professional dental visits, these healthy habits are often never formed. Similarly, The Sloane Stephens Foundation — launched in 2013 by the tennis champion and her family — is dedicated to inspiring a love of physical fitness in children who often lack structured physical education in school. Together, these two organizations are dedicated to supporting children who need it most. "Since, I was young, I was given a love of tennis and physical activity – something that's always brought a smile to my face. I'm excited to partner with Colgate to educate the next generation about healthy habits, from exercise to tooth-brushing," Stephens said. Individuals can help serve up even more smiles by sharing the campaign's bit.ly/BSBFServingUpSmiles on their social media channels with the hashtag #ServingUpSmiles on or before August 15, 2018. 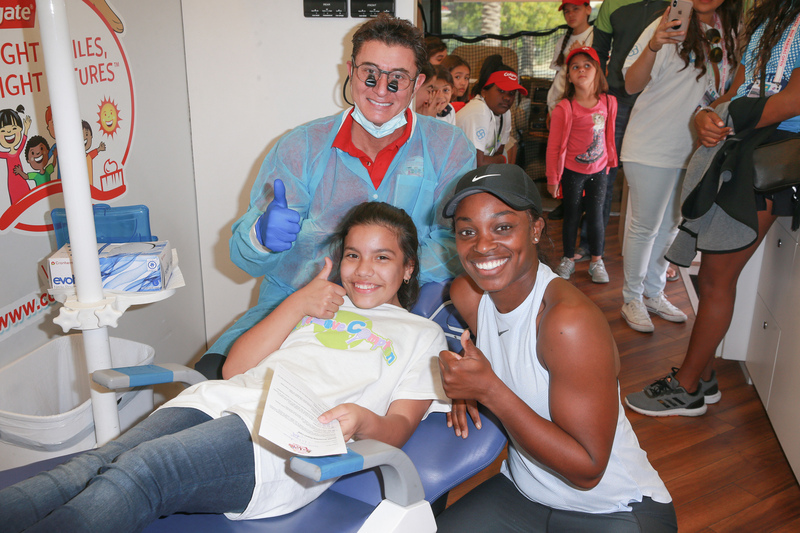 For every share, Colgate will donate $1 to The Sloane Stephens Foundation to further support healthy habits among children1. 1 No purchase required. 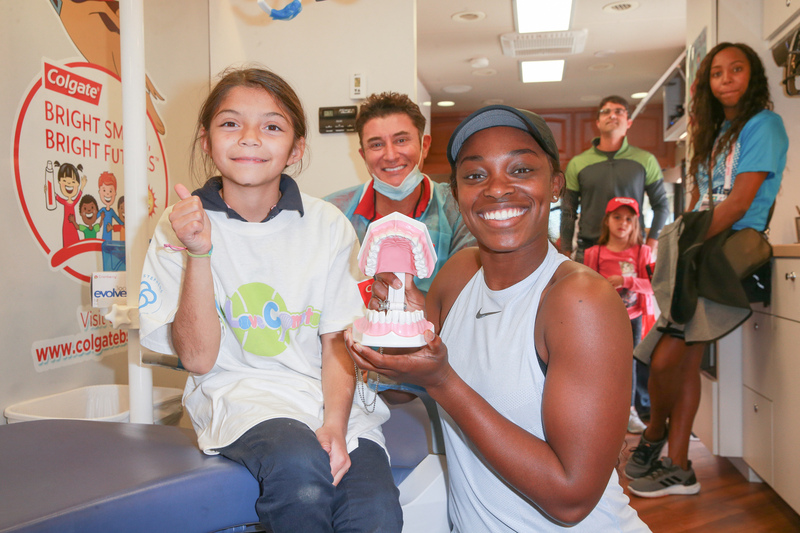 Between March 19, 2018 and August 15, 2018, Colgate-Palmolive will donate $1.00 to the Sloane Stephens Foundation for each share the video content receives on Facebook, Twitter, Instagram or Google+ with #ServingUpSmiles, for a total minimum donation of $15,000 and a maximum donation of $30,000.